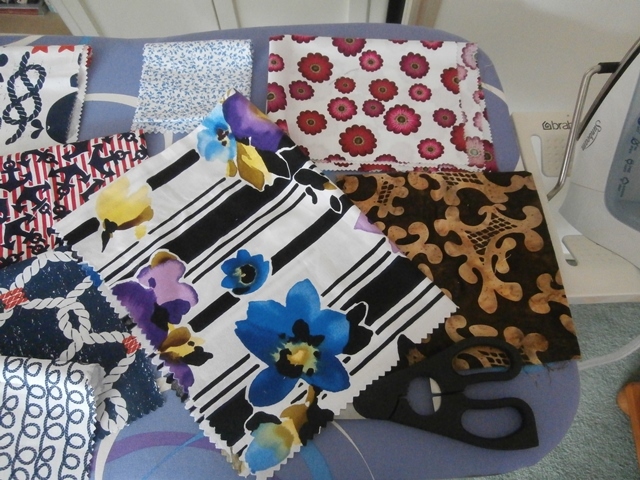 Manxgirl living and crafting down under. : New beginnings. Well, I dithered and dallied and changed my mind several times. I looked through books and magazines, I went shopping and stash diving. I trawled the internet and eventually, went looking in the UFO boxes!! I found these white and off white charms all stitched to scrappy charms. I wasn't happy with the results, so they sat in a box for who knows how long. Last night I decided to start pulling them apart while I pondered my next move. Then I sorted the charms into colour values and inspiration struck. 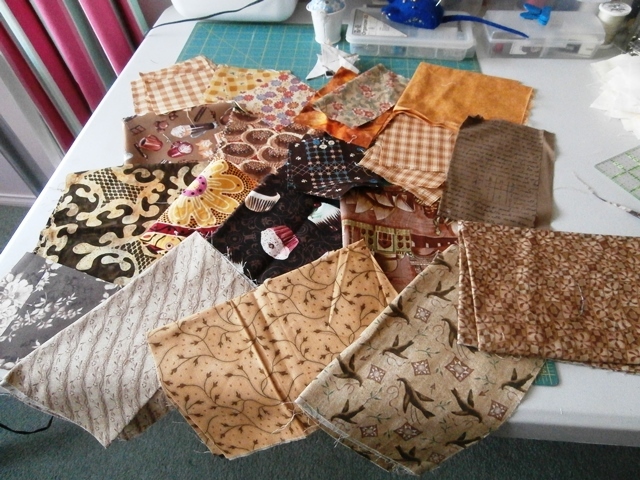 A dig through my scraps and fat quarter collection revealed a few more fabrics. 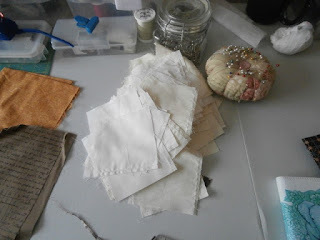 So I see plenty of pressing and cutting happening this morning. I swapped shifts to help a colleague, so start work at 1 O'clock, which gives me a couple of hours of play time. Using what was already cut I came up with this charming little beauty. I gifted the Kiwiana quilt to my colleague. She cried the happiest of tears and was genuinely moved by my gift. Then proceeded to show it off all morning. Several of my colleagues oohed and aahed over that wee quilt. It made me feel quite self conscious. About that shopping I mentioned earlier. I've had these two charm packs for some time, but when I saw fat quarters in the same fabrics I had to grab some. 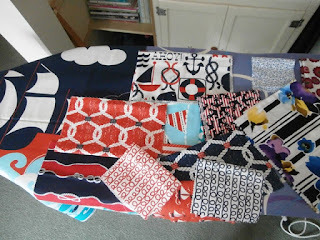 A quick poke through the scrap bin revealed the red and blue knotty fabrics at the bottom of this picture, the shop owners daughter asked if I was 'into all that nautical stuff', then she went digging out at the back of the store and returned with the rest of the collection you see here. Oh Joy! Even a panel!! I'm sure I'll come up with a plan for that little lot!! And one or two other bits fell out of the scrap bin too. 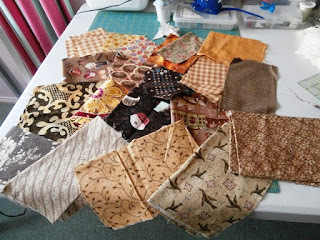 And finally for today, cause all of this writing is taking up valuable quilty time!! 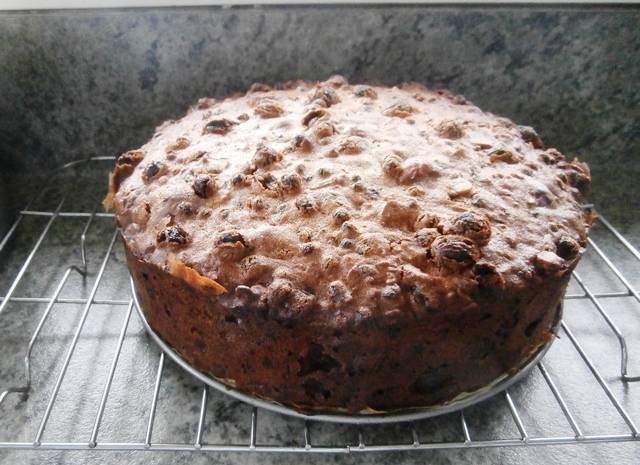 My Christmas cake which was smelling so divine the other day is all cooled and packed away safely, I'll let it rest for a week then start feeding it with brandy. This will be one cake where eating and driving is NOT recommended. I hear the iron calling. I hope you're as excited about your latest project as I am about mine. Doing a scrap bin clean out feels very virtuous! 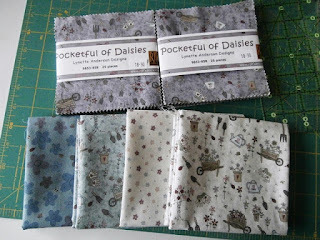 Love your new block and playtime fabrics! I spent time tearing blocks apart last night too :). 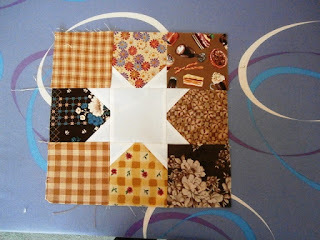 Glad your friend adored the Kiawana quilt. It was gorgeous! Sounds like you had a really good day, and that cake looks wonderful. And do you know - last year was the first time ever I had made a Christmas Cake! So delicious - home made is certainly best. Perhaps it's time to make one for this year? It looks like you are on a roll now. I am itching to be able to get back to quilting, just hope this next surgery will make that possible.